In the Endless Mode, what the players need to face is not only one enemy, but wave after wave of foes. They are truly endless and crazy! 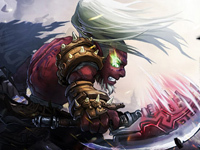 When facing such challenges, all the warriors will not be able to contact with the outside world. The only thing they can do is to fight side by side with their own heroes! 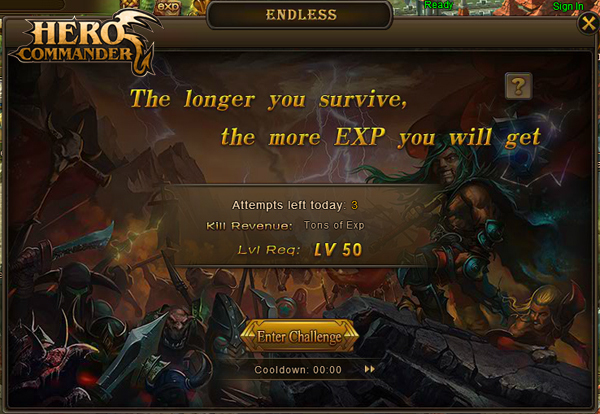 Despite Endless Mode being very cruel, you can get more rewards for every victory over an enemy during a limited time! In order to do a good job of preparing for this expedition, the warriors must carefully research the battlefield. Players can find revival points, brush points, BUFF point and doors in the battlefield. Once the door is opened, the enemies will come one after another, so it may be a wise choice to retreat to the BUFF point when your army is not strong enough.